Amanda is always so gorgeous. I'm pretty sure she could wear a frock and look stunning. And Jaelan is looking super stylish in her graphic tee and Albion Fit pants. I've been wanting them for awhile. I may just have to bite the bullet and buy them now that I see they are super cute on too! I love Nadia's outfit because it's something I would never put together myself, but the concept just... works. I love the skater/girly look she created and she still pulled off her pop of blue. 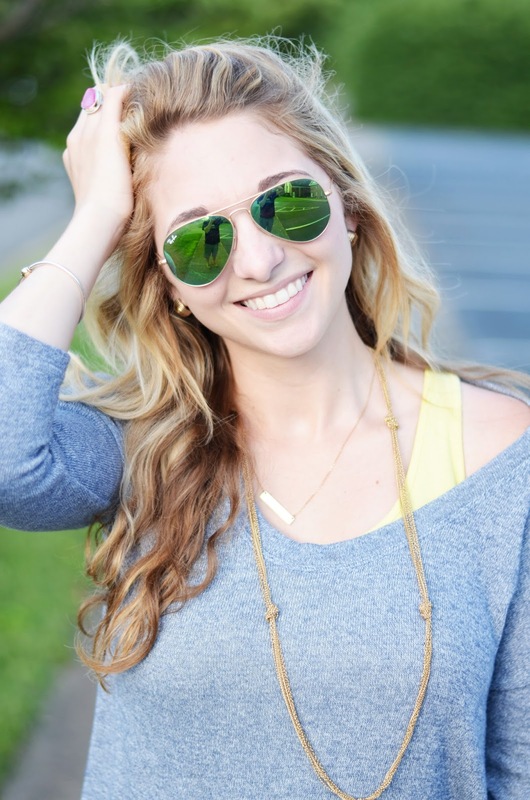 Jana will be back next week for A POP OF NEON. I know this is a trend that some people steered clear of, but personally I'm a huge fan! I can't wait to create my look! 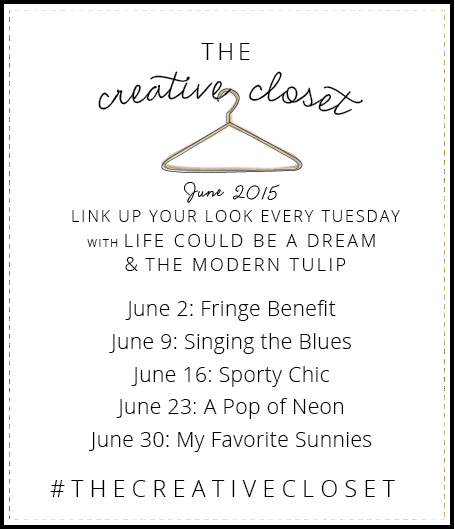 Please don’t forget to link back to my post or Amanda’s and let people know you’re joining us for The Creative Closet! OR, you can share the button in your post or on your sidebar. 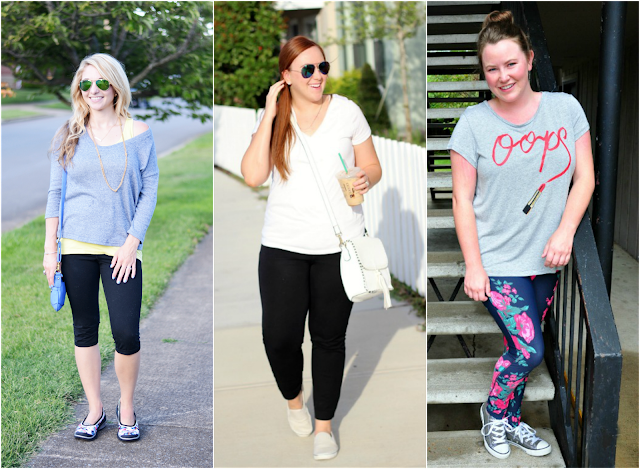 18 comments on "The Creative Closet || Sporty Chic"
Cute looks! I love the casual chic look! How cute is that top?! Love the off the shoulder look. And those shoes are super cute too! Carrying that carseat into Target totally counts as a workout. It looks like you've nailed the sporty chic ensemble perfectly! Target workouts are THE BEST! This is a super cute look mama - love that necklace with it! This looks great and would totally transition from yoga to coffee! Those shoes look so cute and comfortable! I think you totally nailed this style, this would be a PERFECT outfit to wear out and about before/after a workout. The necklace is a great touch! Thank you so much for featuring me! This is such a cute look--you're right, perfect for going from workout to coffee date. And your idea of workout is the same as mine :) I'm not really a "sporty" person so this one was a challenge to me too, but I love seeing everyone's take on it! Aren't Bzees the best? I love mine. They are so great to work in. Love that top! 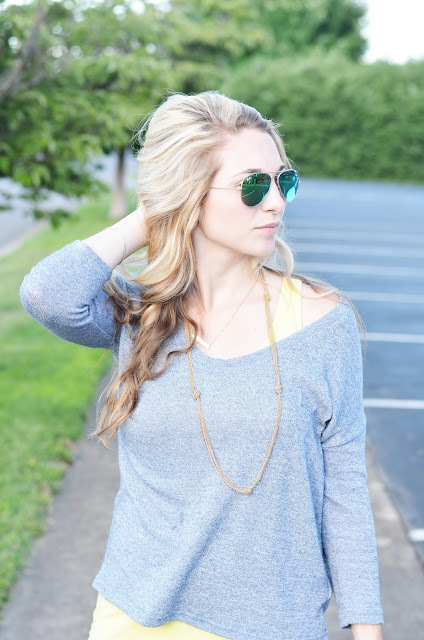 Off the shoulder tops are a current obsession for me ;) So comfy & cute! So cute and comfy! I love those shoes! Those shoes are fantastic! I love sporty chic, it's so comfy and perfect for errands and weekend mornings! Carrying the carseat is a workout all of its own! If you can carry that thing anywhere I give you five stars! I love this outfit! It's casual yet put together and looks so comfortable. 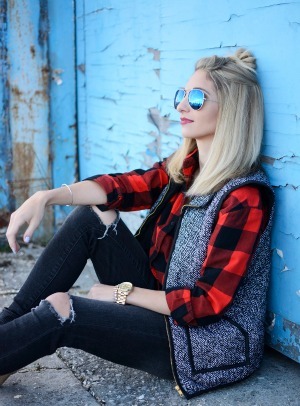 Nailed sporty chic! Can I Even Still Call Myself A Blogger?